Made a laundry hamper for Emily's room this week. 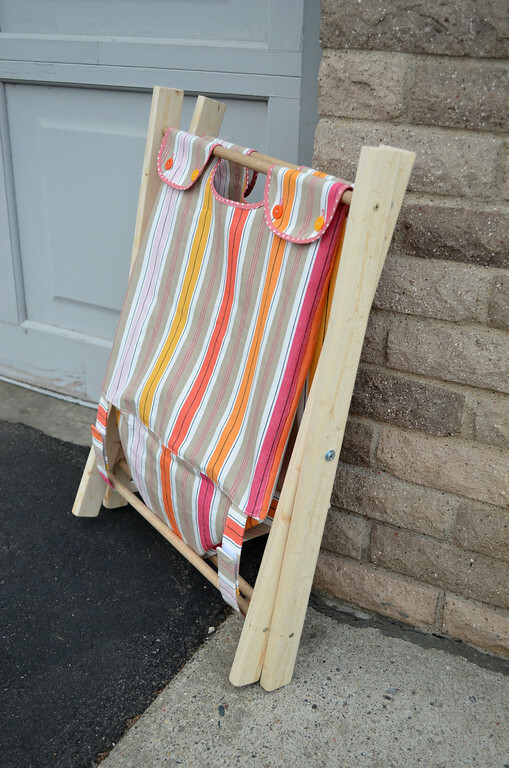 I've seen these everywhere, except they're big - and I wanted a smallish one for a specific corner of her room, and I was very, very tired of our plastic Walmart laundry baskets, so I got out my tools and sewing machine and made one. so you can remove the bag completely and toss that in the wash, too. 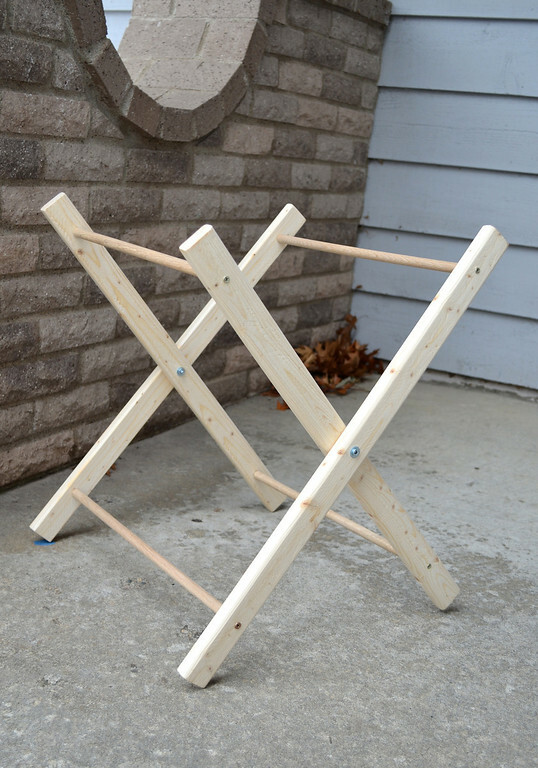 The wooden X-frame is such an easy and useful basic structure for so many projects - apart from this laundry hamper, you can also use it for camp chairs, camp beds, tents and so many other things. I made the frame with supplies from the hardware store. 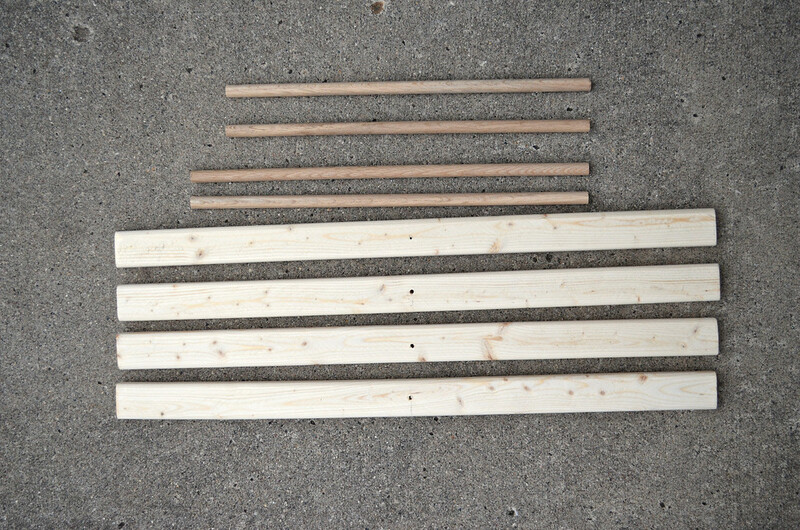 One 1/2" dowel cut into two 16" lengths. Two 2" bolts, two nuts and six washers. 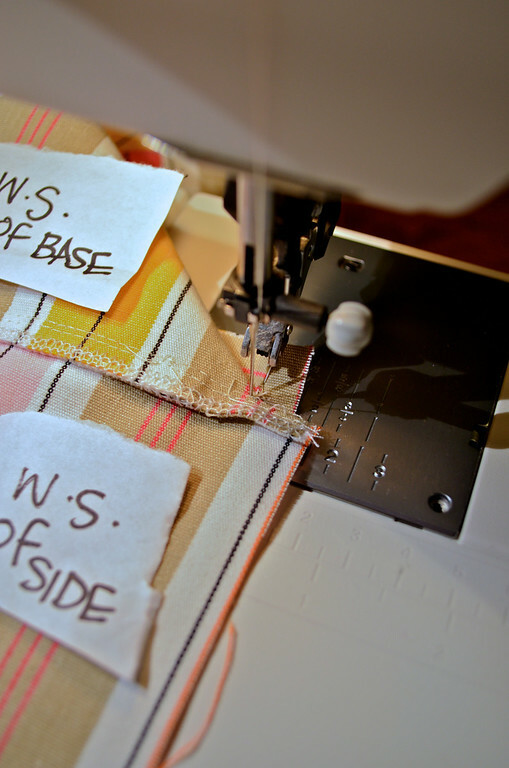 Important: All dimensions of the fabric bag, including the straps, are the FINISHED dimensions i.e. NOT the size of the fabric pieces that need to be cut out. You will need to add seam allowances to those numbers. 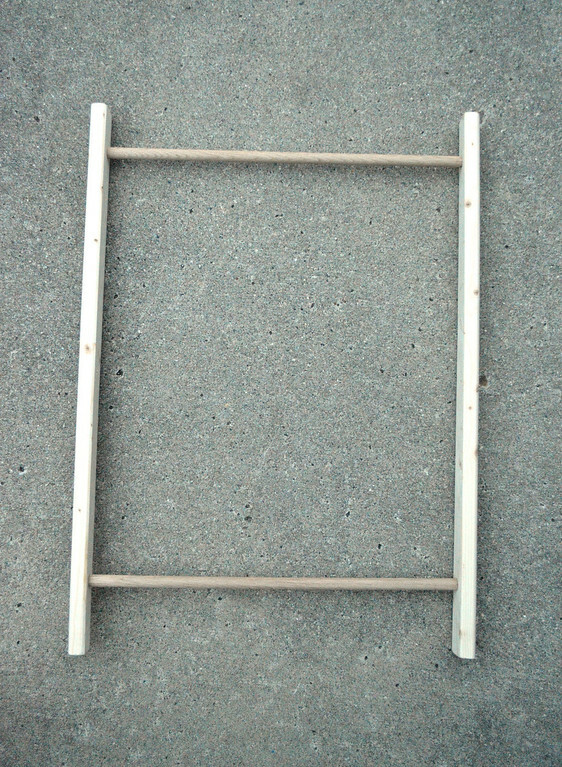 Next, assemble one rectangular section of the frame, using the 16" dowels. 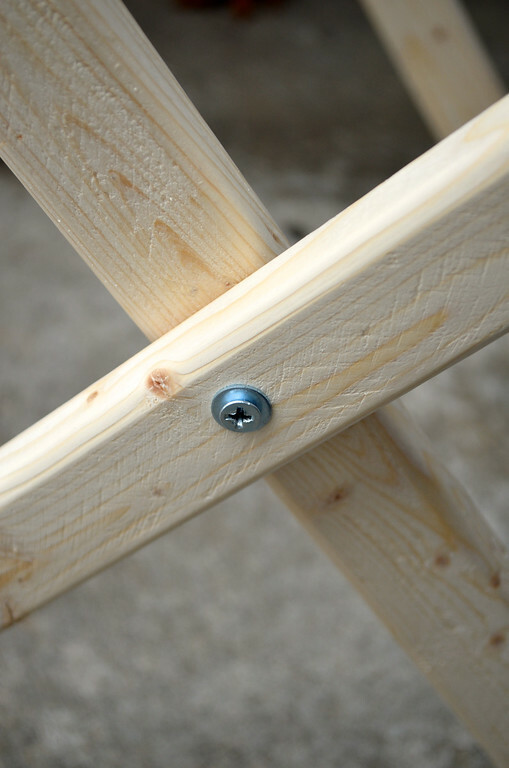 Repeat for the second rectangular section of the frame, using the 14.5"* dowels. Nest the smaller rectangle (with the 14.5"* dowels) within the larger one (with the 16" dowels) and secure them through their midpoints using the bolts, nuts and washers. 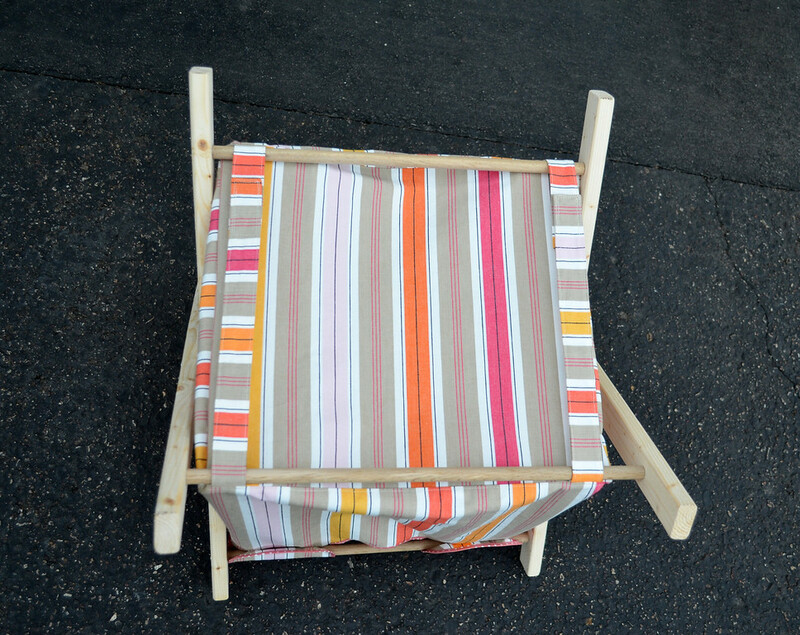 This is the frame folded up. *Note: This is only an estimate. Depending on the exact thickness of the wood for the X-arms (mine was about 3/4"), you might have to adjust the 14.5" value so the inner rectangle nests just right within the bigger one. 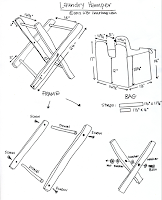 You can use the dimensions for the bag I made (see the plan), but you can also make up your own. Mine is practically a cube but you can also opt for a taller, skinner bag. Remember that this X-frame is moveable and opening it wider or narrower will change the height of your bag (and the depth will change accordingly). The width (in my case 14.5"), which is dictated by the length of the shorter dowels between the X-arms, stays constant. I'm not going to do one of those interminable 57-step tutorials - this is just the overview, with some tips on sewing neat corners. 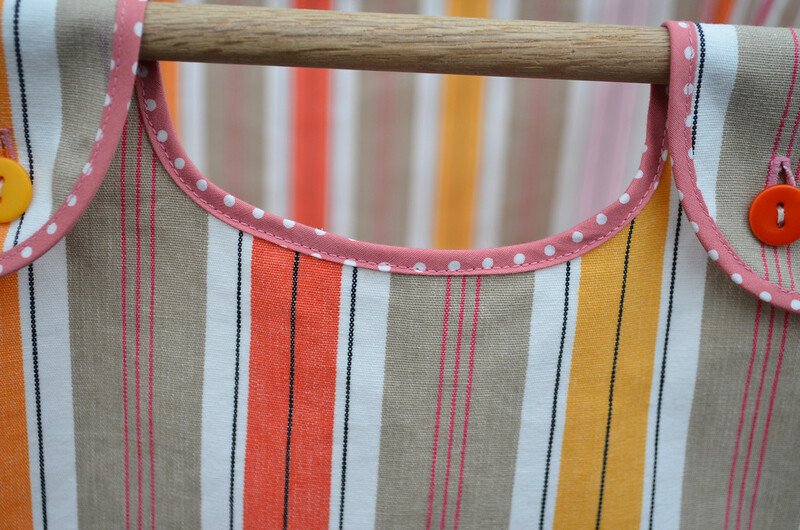 I'm also omitting reminding you that you need to serge or finish your seams if it's a single-layer bag. My fabric is one of those woven things that is completely reversible i.e. 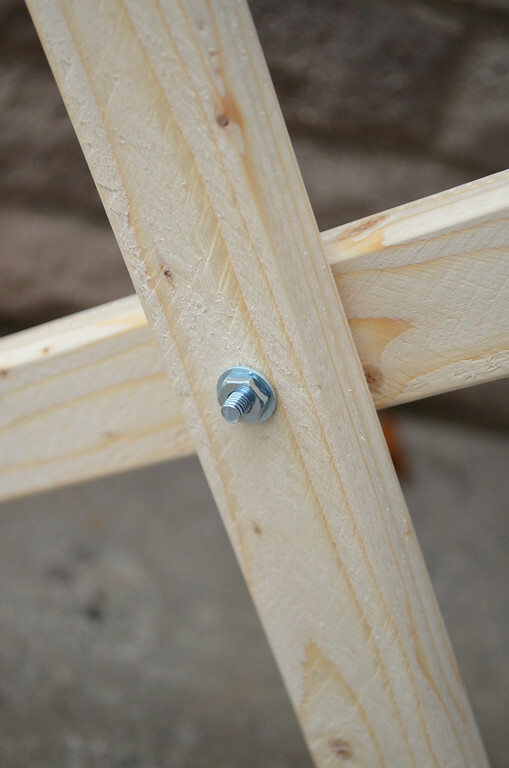 the right and wrong side are indiscernible, so the button flaps can be flipped over the dowels without being lined. Obviously you can use webbing, or ribbon or whatever you like for straps - I used the fabric itself and made straps. Then attach the remaining sides. 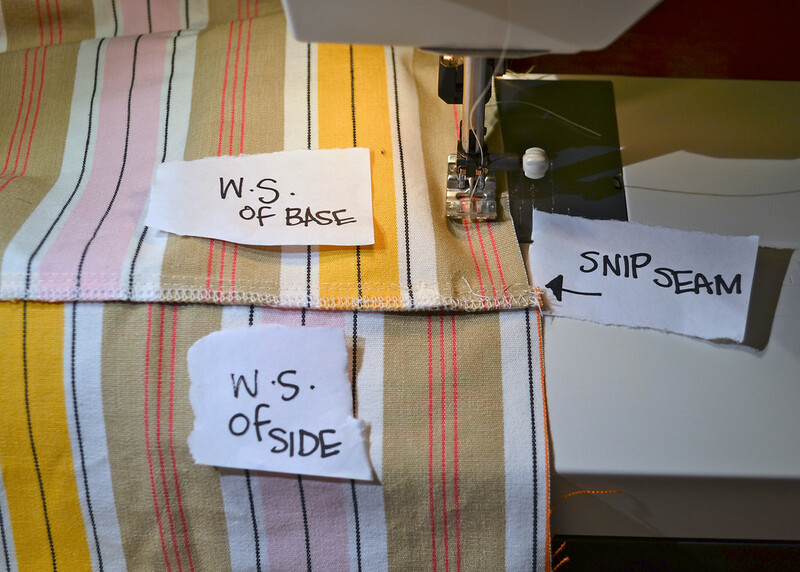 Here's a short digression on how to sew neat 90- degree cube corners. 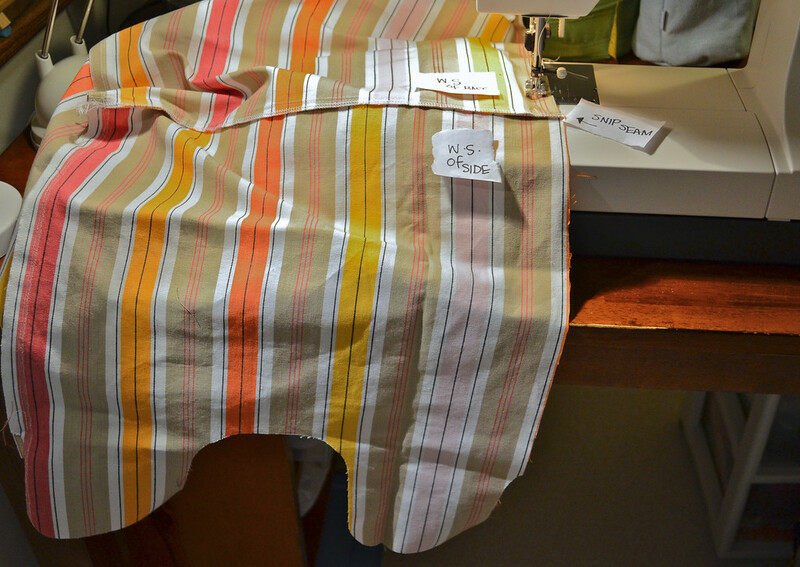 This is a zoomed-out shot of the fabric base being sewn onto the short (i.e. the one without the button flaps) side, which is underneath and can't be seen. 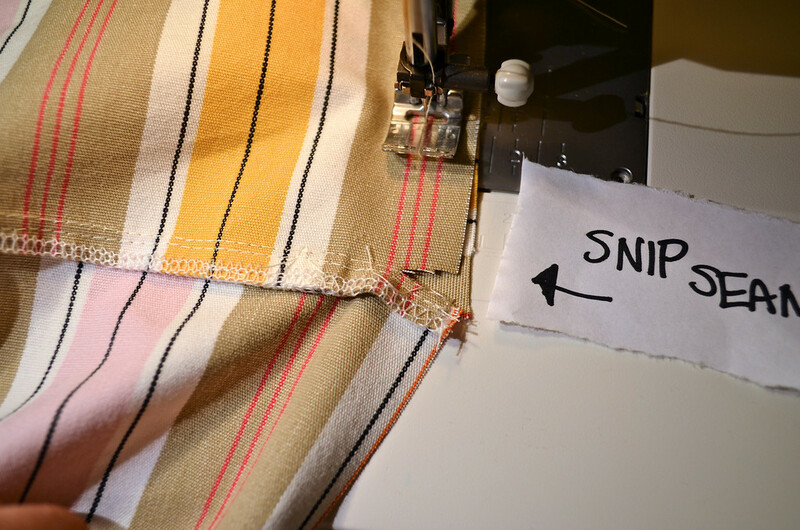 The needle is approaching the seam where the fabric needs to be turned 90 degrees. but only in the top layer (the layer that needs to turn 90 degrees). You can see the layer underneath is not cut. 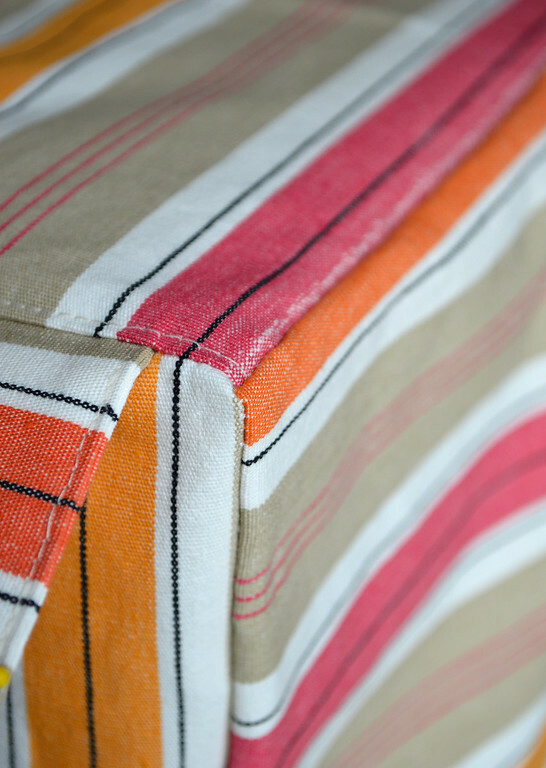 Pull apart that snip so the topmost fabric turns 90 degrees and aligns along the perpendicular edge of the fabric underneath. 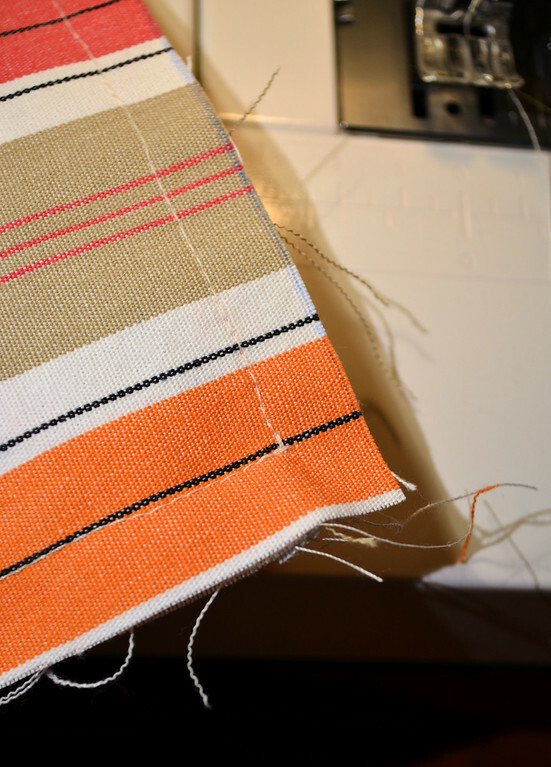 It's hard to see in this picture, but the fabric has been turned 90 degrees about the needle (presser foot removed for visibility) and the needle is going to continue sewing beyond that seam, at 90 degrees to the direction it was originally going. This is the thing flipped over, to show you how the stitches changed direction smoothly. And this is the fabric (the one that was the bottom layer previously) peeled back to show that snip we made. And this is the neat corner on the right side. 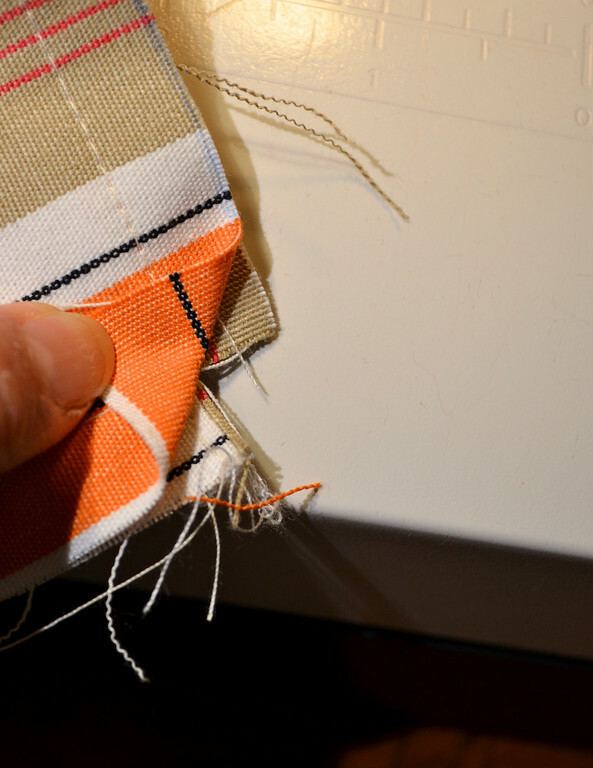 Once the bag is sewn up, finish the edges of the opening with bias tape. and velcro on the bottom straps. or fold it up and store it away. I'm really liking these mixed-media sewing projects, incidentally! It's not as easy to think up cardboard-and-fabric combinations, which is a shame, since I'm much handier with a craft knife than a saw. Eventually I will graduate to power tools i.e. must buy some, but just to encourage you so you know anyone can do simple woodworking - apart from the (low-voltage) drill, I used only the simplest, most manual of tools. 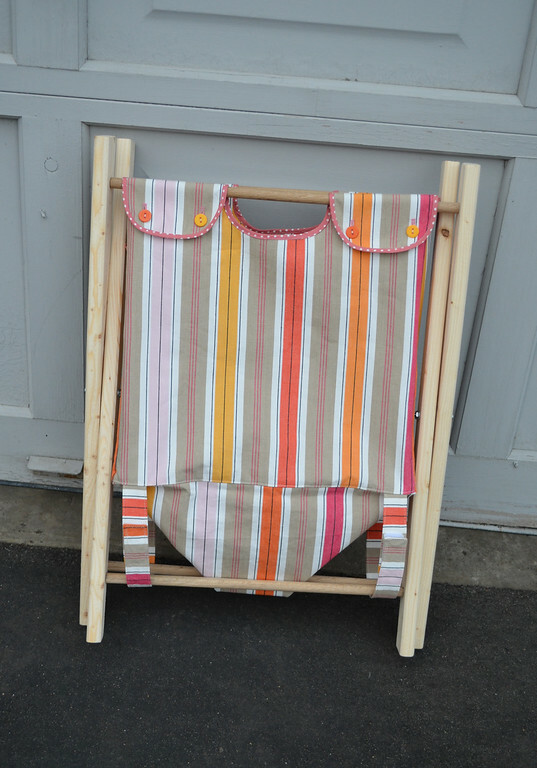 Remember that picnic table and easel my Dad and Mum made for us last summer? Same manual tools! That is super cool! 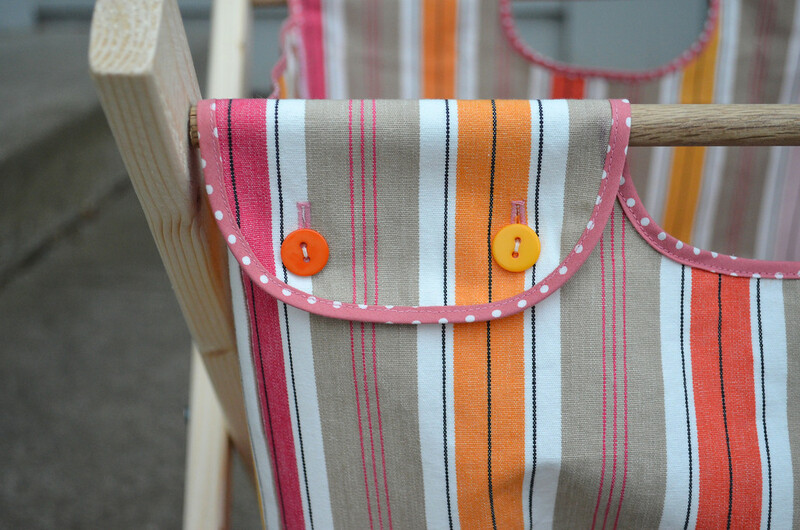 I love your colorful fabric and buttons, too! I love this and had to pin it to my board! Everything you make is beautiful as is your photography. I also appreciated your last post on resilience. Thanks! I could expand on this idea to make a laundry sorter too.. Or just make multiple ones. Sometimes simpler is better. Love this- found your craft on pinterest :) What fabric is that? I love it! Megan - it's from IKEA. I bought it last year, for about $9 a yard. I hope they still have it! So lovely! Someday I will get motivated and make something pretty like this to replace our hideous mesh laundry bags. Love it! I definitely need to make one of these. Thanks for the fabulous tutorial LiEr. Wow, what an awesome project. Thanks for sharing!!! Thank you so much for this. I've been lurking for a while (and marveling at your ingenuity and...somewhat obsessive nature? 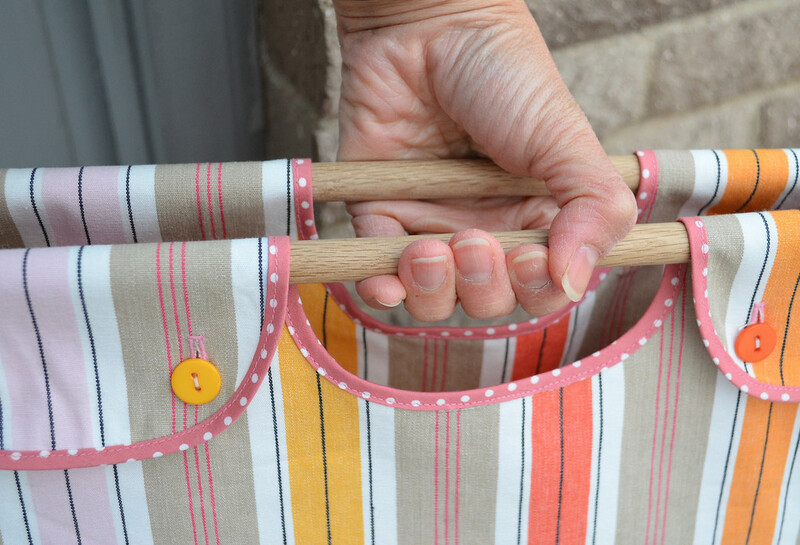 ), but this is EXACTLY what I needed for a similar contraption I got at the thrift store thinking "I can figure out how to make a new bag for that"--and now I don't have to. Thank you for sharing this! This is bound to become a project for this year (we need an additional hamper for the girl's room). Brilliant. Amazing tutorial! Thank you so much for sharing. I love that Ikea fabric. I haven't used mine yet (for snap purses). Did you make your cute bias tape or did you somehow conjure it out of the stash? 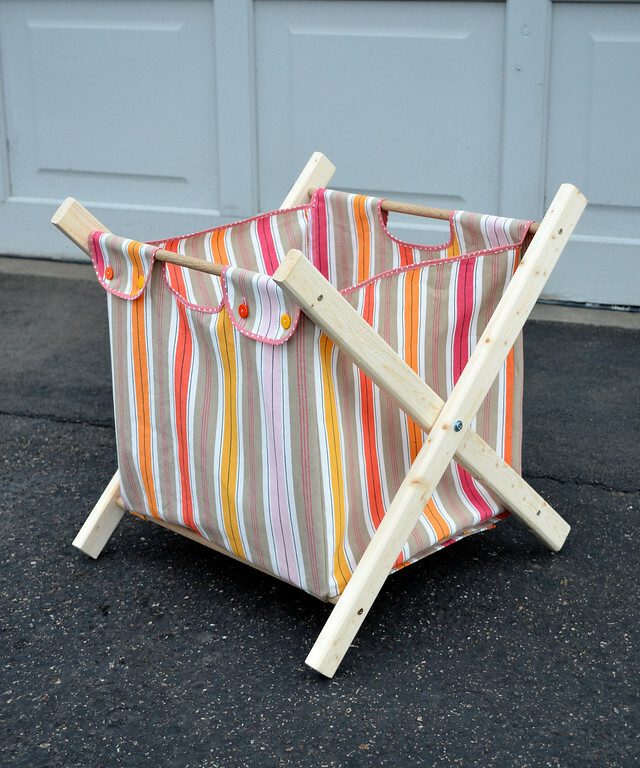 I bought two of these laundry hamper frames (with stained cotton canvas bags - ick!) at a garage sale and re-did them once upon a time. Thanks so much for sharing this! 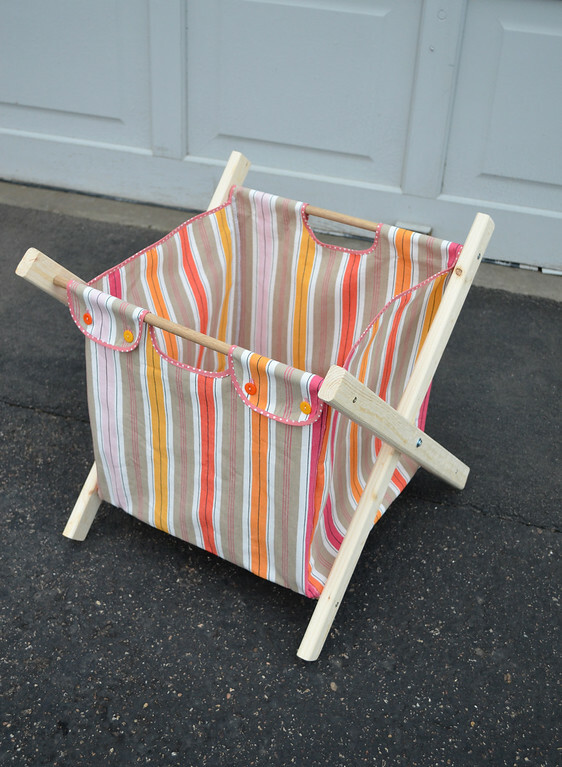 I need to make several for my kids...the ones who are still home and the 2 who are grown and out of the house..lol I have one of these that my hubby picked up from a garage sale and it is the best hamper I've ever used. I like your mixed-media projects. 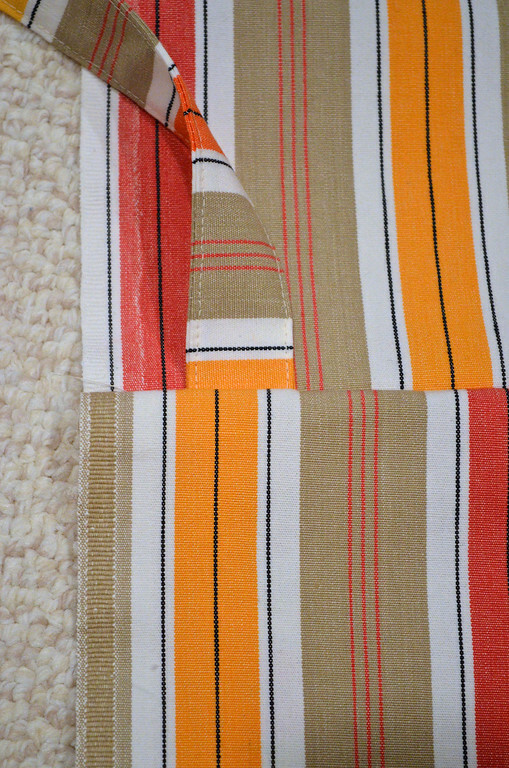 You introduced me to the world of cardboard - and I do have a fabric/cardboard project that I posted about here: http://buttercreamsewingmachine.blogspot.com/2012/02/tutorial-fabric-candy-box.html. It is a cardboard candy box I made from cereal boxes that I sewed a cover for. I hope you will check it out. After I made this, I got a bunch of ideas about how to mix the two mediums. Thanks for all of the inspiration! This has been added to my list of things for when I refit my sewing room. Perfect for odds and bobs. Gorgeous. I have been enjoying your blog for some time now and I appreciate all the posts you have. Some really great ideas. I made some Rapunzel dresses for my girls although I still have to finish the hair. Thank you so much for this! My boys cheap-o Ikea hamper bag has begun to tear (it's plastic). I didn't use this pattern, I cut the bag apart and used it as a pattern (for fabric an Ikea "numbers" duvet that nobody wanted to sleep with). But if I had not read this post I would not have known how to turn corners, and I would not have been so painstaking with topstitching. Thank you Thank you Thank you for being who you are and sharing it with us. My sons will have a great new hamper bag because you made me not afraid to try. They also have lots more fun with cardboard now and we stick those Ikea LED-battery-operated lights in everything we can think of. (Sorry this is so long) In case you haven't thought of this: It's fun to paint a picture on canvas and then tape the LED lights to the back to make bits glow and work really well as a night light. Thanks again! I have another use for this hamper, it can be used as a storage container for all those little toys, stuffed animals, etc. That is what I am going to use it for. Thank You for sparking the idea.The light bulb went off in my head as soon as I saw the picture. I can't wait to make one for every room! It totally would be great for toys and such! Love this! A great solution for dress-ups, I think! Love this! I think this might be perfect for dress-ups...if we can pare down the collection a bit! Oh wow - this is wonderful! I think I want one for every room too! I wonder if I can crochet one? 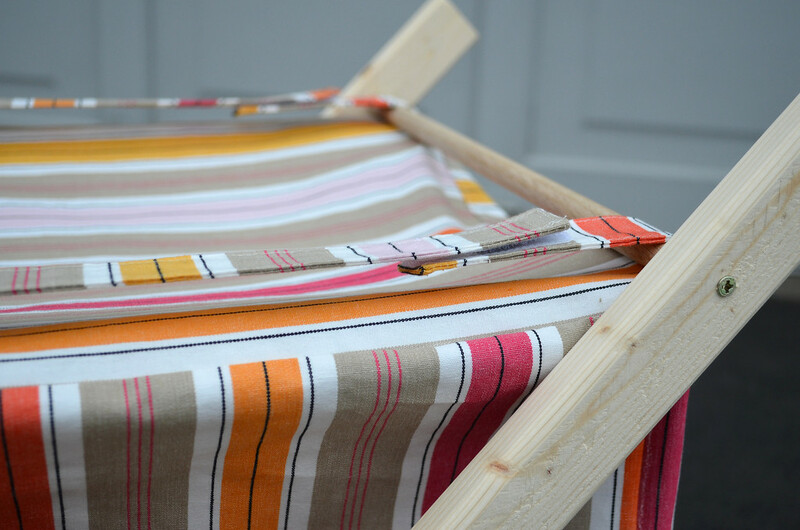 Not the wood, but the fabric - I'm allergic to my sewing machine at the mo'! Thank you sooo much for posting this tutorial. 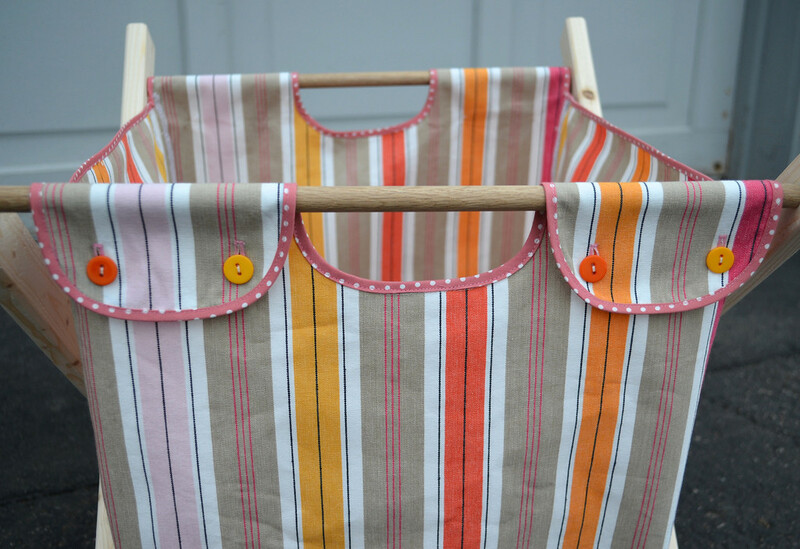 I don't need to make the wood part, but I do just need to sew some new fabric bags for a hamper like this that I already have. Thank you!! Thank you so much for sharing this tutorial. 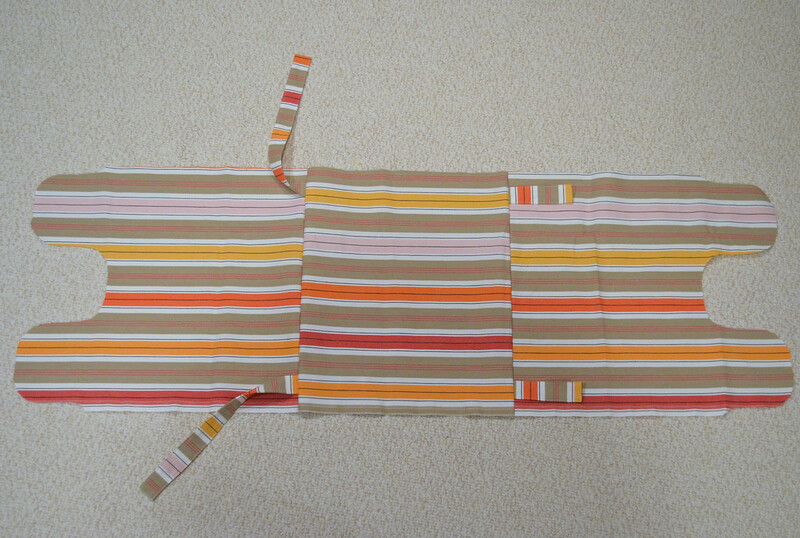 I have my mother's (she past several years ago) knitting bag which has an x frame, but the fabric has ripped badly. I feel sure that using your tutorial, I will be able to revamp it with some of her unused fabric stash! Also, I am going to make some hampers for our laundry. One white one, one dark one and an "unmetionalables" one!! This tutorial is awesome!! I am going to add a liner of PUL fabric, so that it can be a wetbag of sorts for towels and other things we accumulate throughout the week. Thanks for this!!! how much fabric does this hamper take roughly? Absolutely no clue! I'd say a yard is more than enough. Also depends on the width of your fabric. Look at the plan for dimensions and calculate accordingly. I'm off to buy wood. Yay! I love this! Will be great in a new baby's room. Since I always scratch myself on bolts that stick out, I'll be using acorn nuts on the bolts instead of a hex nut! Such a great idea, and so useful, I will sure try this out soon! I am going to make one for my mom and I. To hold all her knitting yarn while she is wrking on a project. For me be perfect to hold my supplies while I work on a quilt. Totally Amazing! Pinning for sure! Great tutorial. I need to make this for our bathroom. Gostei tanto que vou fazer! Im so happy I found this! 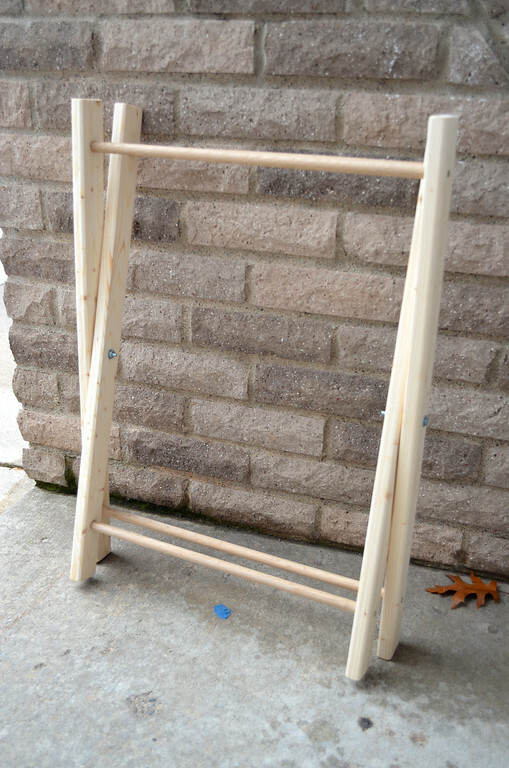 I bought something similar to this for $35, to hold my crochet projects. It's perfect for taking with you places because you can sit it down and everything is open and right there and you just grab it to take it with you. But mine broke and it's not worth $35 for the quality. Now I can make my own!!! Thank you! I LOVE this hamper! 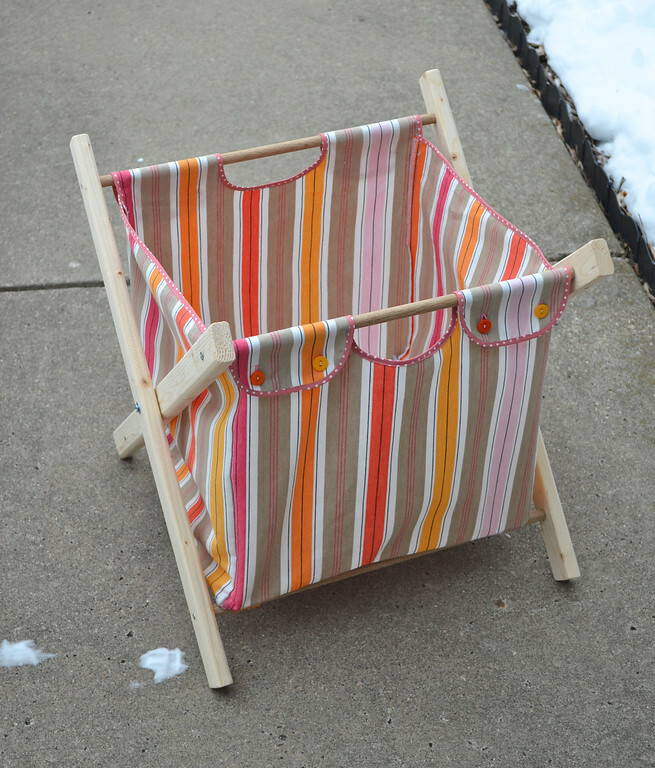 I bought one for my daughter when she was a baby 3 years ago, and we still use it. And now I want to make one for my baby boy. 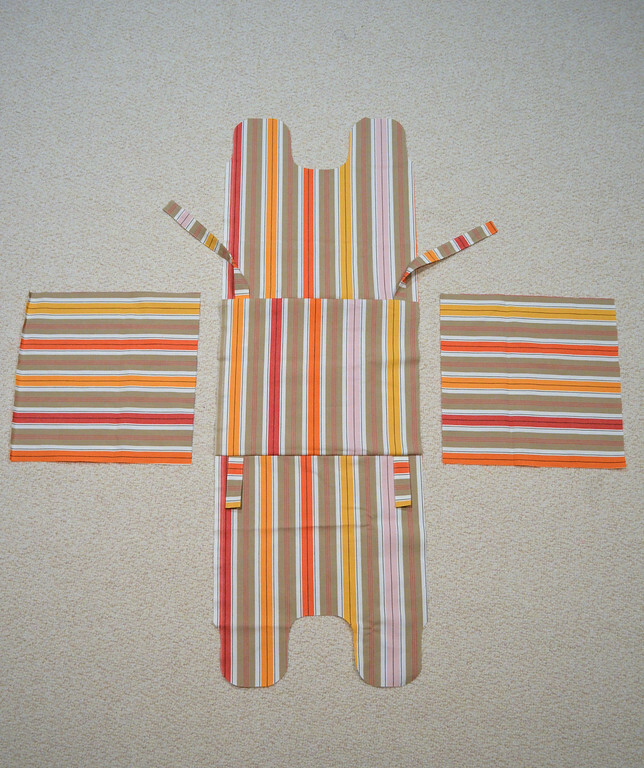 I can handle making the fabric part, but I don't know about the wood part. You did a wonderful job! I like that yours can be toted around with laundry inside. My daughter's store-bought hamper has a mesh bag inside that comes out, but I still like yours WAY BETTER!!! I'm pinning it! This one is marvellous. I'll give it a go. Thank you so much. This is so lovely! 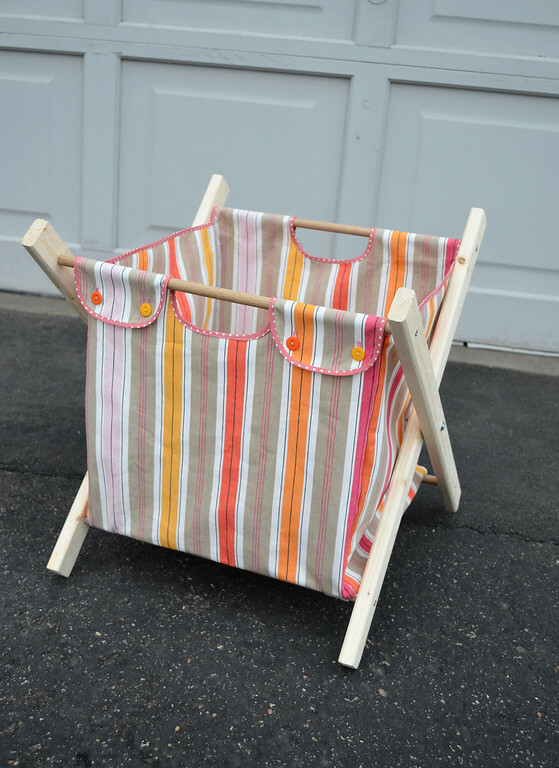 I can't wait to make it as a bedside book tote for my niece and nephew!